If you think you are a pretty good cook, you should check out this list of the 10 southern dishes you must know how to cook before you can truly be great. I call this the Ten Commandments of Southern Cooking. Of course there are some things you have to know how to do to begin the preparation. You must know how to make a roux for several southern dishes, but that's a given. Here are the dishes that should be in your repertoire if you want folks to leave the dinner table happy and satisfied. There is a lot of debate about this one. But my favorite potato salad has lots of mayo and sweet pickles. I know many people use dill, but that's just not my preference. My recipe goes back to my childhood and our housekeepers version. It is awesome and I have never tasted one better. This is all about the batter. I use frosted flakes to make my chicken. The sugar in the cereal makes for a darker skin, but it is amazing. I also use Tony's so it's sweet and spicy. Robert says this is the "best chicken he's ever eaten". I know this is a side dish, but it's something every good southern cook should be able to whip up. It does take time, but everyone loves a great deviled egg. Mine is a little different than most because I use sweet pickles and olives. The combination is amazing. If you can't do mouth watering ribs, you really can't call yourself a great southern cook. You have to get a good cut of pork and you must cook these slow. I also think the rub before cooking is critical too. I like spare ribs best, but baby back ribs are good too. Another critical element is the sauce. Don't be the one that slathers sauce all over the meat. Keep it light. I am not good at mashed potatoes. My daughter-in-law makes great mashed potatoes. I haven't perfected this dish. I always have a few lumps. This one also takes lots of time to get it right. But it is one of the dishes everyone loves, if they are good. I prefer my mashed taters with just butter, no gravy. This is also a dish that goes back to my childhood. My mom would make our cornbread in a round cast iron skillet and we would cut it into pie shapes. Hot right out of the oven, slice in half and put some butter on it and this is quite the memorable dish. We never had any leftover. You must start this dish right, with red kidney beans and a ham bone. This is just not the same without the ham bone. I know people swear by other things, but in my mind, the ham bone is the centerpiece of the dish. I like my RBR a little spicy but not too much. I like to use cube steaks for these and I also use my fried chicken trick with the Frosted Flakes for the batter. I also use butter milk for the liquid bath before dipping the meat in a combination of flour and crushed up cereal. 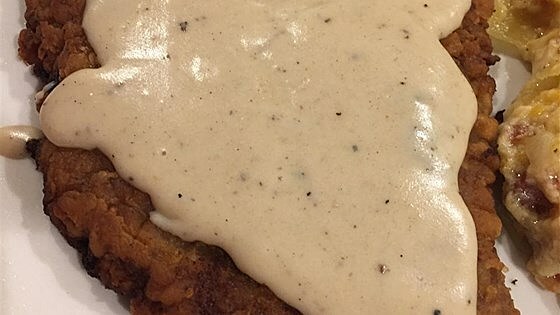 The other secret to making great chicken fried steak is to use a cast iron skillet. I have been blessed to have my grandmother's skillet and it's close to 100 years old! I'm not a huge fan of chicken and dumplings. There's something about the texture of the dumpling that rubs me the wrong way, but if the dish is prepared just the right way, it is so delicious. I don't make this very often, but when I do, it's pretty darned good. This is the one dish that stirs up a lot of controversy. Everyone thinks they make the best gumbo. My grandmother's recipe is the best for me. As I mentioned earlier, this obviously starts with the roux. You must perfect that first. I love to put shrimp and crabs in my gumbo. It just tastes so good. Of course chicken and sausage gumbo is good, but I want seafood in mine. And yes, I use okra. That's a big debate in the south, but I just don't think it's gumbo without okra. I know I'm probably missing something you consider a great southern dish, but these are my top ten. And I didn't even consider desserts. That's a subject for another day. There are several seafood dishes that you should master, but this is a good start to getting in the kitchen and test your southern cooking skills.